The Squamish retail market has 3 distinct retail areas: Garibaldi Village, the Business Park and Downtown. Garibaldi Village is fully developed and the highest traffic and most expensive retail area on Highway 99, with key anchor retailers. 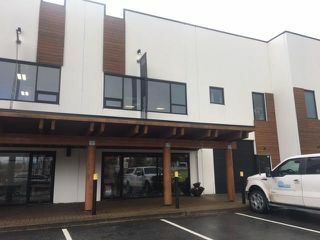 The Business Park is currently a hot development area, anchored by Home Depot and Walmart with numerous service retail options in the direct vicinity in the Sea to Sky Business Park (www.seatoskybusinesspark.com). Downtown has 2 primary food anchor malls at the north end of Downtown and neighborhood retail on the main strip Cleveland Avenue. Retail space for lease ranges from $13 to 28 psf net rent, depending on the location.